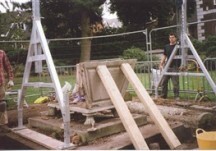 In 2013 Watford Borough Council was awarded a grant of £80,300 by the Heritage Lottery Fund towards a project to restore a number of tombs in the Churchyard of St Mary’s in Watford High Street. 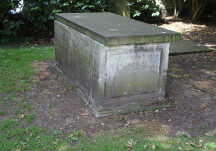 The project included repairs to 13 locally and nationally listed tombs belonging to key people who helped shape the development of Watford during the eighteenth and nineteenth centuries. 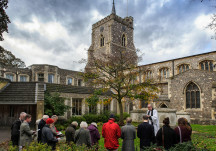 The project was a collaborative one between Watford Borough Council Planning Department, Watford Museum and a number of local groups and organisations. It also enabled a range of educational events and family activities to take place allowing the whole community to get involved in the project. A leaflet summarising the project and the information available here on the website has been produced. Copies are available at the Town Hall and at Watford Museum or a pdf verson can be downloaded here.